After issuing a stern warning last month which ordered the country's streaming music providers to stop offering unlicensed tracks, the Chinese government is reporting progress. Following the expiration of a July 31 deadline, the National Copyright Administration says that more than two million songs have already been deleted. Just like the citizens of most developed nations, the Chinese public has developed a healthy appetite for movies, music and TV shows. However, much to the disappointment of countries such as the United States, many have become accustomed to obtaining that content for free. Faced with a massive piracy problem that will take years to erode, Chinese companies have been looking towards improving legitimate services in an effort to tempt more than 650 million Internet users away from the dark side. Leading international record labels including Sony and Warner have forged local licensing deals but revenues remain low, in part due to cheap licensed services (one offered by Internet giant Tencent costs just $1.60 per month) and in part due to online piracy. Now, after years of relative inaction, the Chinese government seems willing to do more for the music industry. Early July an announcement from the National Copyright Administration of the People’s Republic of China (NCAC) made it clear that unlicensed music would no longer be tolerated. As part of the “Sword Net 2015” anti-piracy campaign designed to strengthen copyright enforcement supervision, promote the establishment of “good order” and develop the online music ecosystem, NCAC said that it was drawing a line in the sand. Starting last Saturday, all online music providers were ordered to cease distribution of unlicensed music and permanently remove such content from their systems. Or, if they prefer, face criminal consequences. 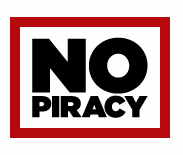 “After 31 July 2015, online music service providers who continue to disseminate unauthorized pieces of music online will be investigated by the State Copyright Bureau and dealt with severely according to the law,” the NCAC announced. With just days having passed since its deadline, the government department says the response to the directive has been encouraging. Already local music sites are reported to have deleted in excess of 2.2 million unlicensed tracks, with action taken by Baidu, Tencent, Alibaba and others. Furthermore, the NCAC says that site operators are also increasing their efforts to generally comply with copyright law and cooperate with the wishes of the government. “In carrying out self-examination and rectification of their online music services, providers continue to strengthen their self-discipline and increase their copyright cooperation efforts,” NCAC adds. Only time will tell if the actions of the Chinese government will live up to its words though, but the labels appear to be optimistic. “International record companies have gained a firm foothold in China and are looking to step up their ownership and investment in local music,” IFPI reports.